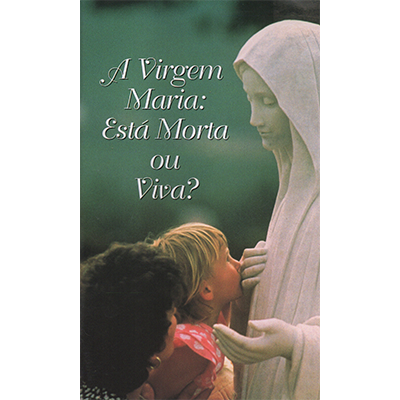 O que é sobre Mary ? Por que milhares de cartazes aparecem ao longo deste país pedindo-lhe para chamar por mensagens da Virgem Maria? Por que dois bilhões de Ave-Marias disse diária? Por que mais de 10 milhões caminhada para Guadalupe para rezar a Nossa Senhora ? Por que 15.000 sacerdotes ido a Medjugorje desde 1981 ? Por que a necessidade de falar com ela? Onde é a Virgem Maria , agora, de qualquer maneira? E o que dizer de todos os milagres relatados , visões, aparições , mensagens, previsões , chorando estátuas e sangramento ícones? Será que é realmente Maria? Quel est-il au sujet de Marie ? 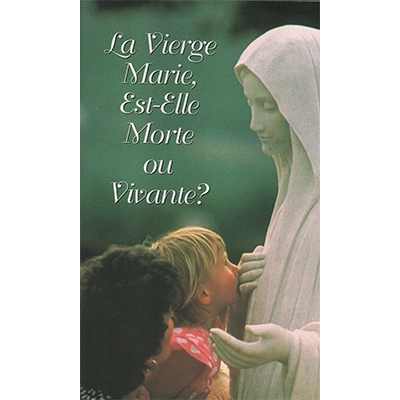 Pourquoi ont des milliers de panneaux publicitaires apparaître dans ce pays, vous invitant à appeler à un des messages de la Vierge Marie ? Pourquoi deux milliards Ave Maria dit tous les jours? Pourquoi n'a plus de 10 millions de trek à Guadalupe prier Notre-Dame ? Pourquoi 15.000 prêtres sont allés à Medjugorje depuis 1981 ? Pourquoi le besoin de parler avec elle? Où est la Vierge Marie en ce moment , de toute façon? Et que dire de tous les miracles rapportés , des visions, des apparitions, des messages, des prédictions , pleurant statues et icônes de saignement ? Est-il vraiment Marie? 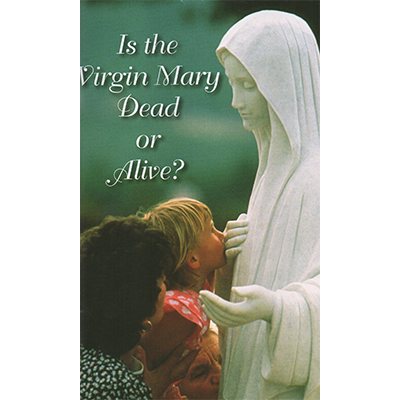 What is it about Mary? Why have thousands of billboards appear throughout this country urging you to call for a messages from the Virgin Mary? Why are two billion Hail Marys said daily? Why did more than 10 million trek to Guadalupe to pray to our Lady? Why have 15,000 priests gone to Medjugorje since 1981? Why the need to talk with her? Where is the Virgin Mary right now, anyway? And what about all the reported miracles, visions, appearances, messages, predictions, weeping statues, and bleeding icons? Is it really Mary? ¿Qué pasa con María? ¿Por qué aparecen miles de vallas publicitarias en todo el país que le insta a pedir a los mensajes de la Virgen María ? ¿Por qué los dos mil millones de dicho Avemarías diariamente? ¿Por qué más de 10 millones de caminata a Guadalupe para rezar a la Virgen ? ¿Por qué han ido 15.000 sacerdotes a Medjugorje desde 1981 ? ¿Por qué la necesidad de hablar con ella? ¿Dónde está la Virgen María en este momento, de todos modos? Y ¿qué pasa con todos los reportados milagros, visiones, apariciones , mensajes, predicciones, llorando estatuas , y sangrado iconos? ¿Es realmente María? “Nation shall rise against nation, and kingdom against kingdom: and there shall be famines, and pestilences, and earthquakes, in divers places. All these are the beginning of sorrows. . . . But he that shall endure unto the end, the same shall be saved.” (Matthew 24:7, 8, 13 KJV) Do natural disasters that even The Washington Post reports are getting worse (September 15, 2011) and economic loss have anything to do with enduring to the end and salvation? 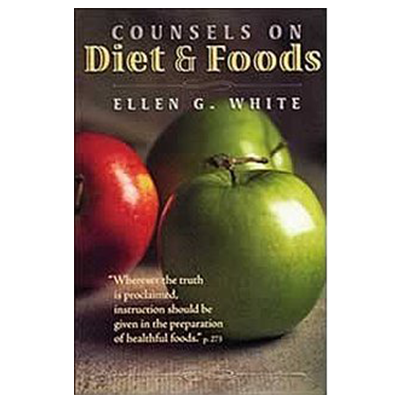 What about nature’s laws (nutrition, exercise, temperance, sunshine, fresh air, rest, water, etc.) as they pertain to us on a personal level, do they impact our endurance to the end? Not only do these natural laws and how we observe them indicate whether we have strength and endurance to the end of time, but they will also be observed in the life to come—eternal life that is. 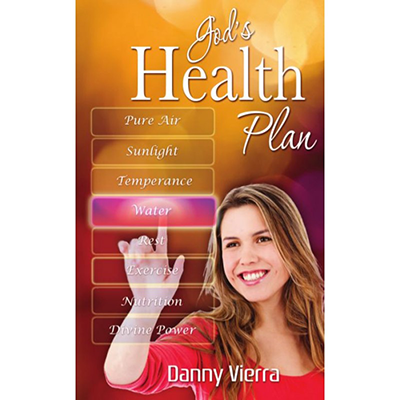 Danny Vierra aptly shares that the book of Daniel candidly points out that eating the right foods, diligent contact with the Lord, and abstaining from injurious substances produces a vitality like none other—the vitality that brings about the endurance of a sanctified life. "Prayer and fasting are heaven’s dynamic duo against temptation!" 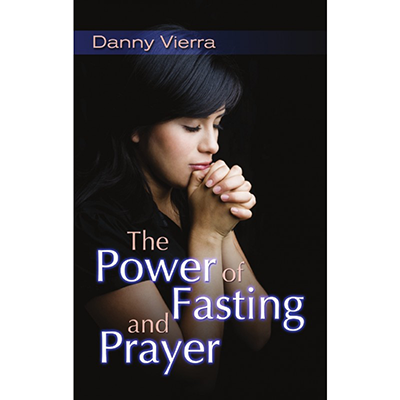 In exploring fasting and prayer, Danny Vierra shares some amazing feats of mind, body, and spirit that are a result of abstaining from indulgences. 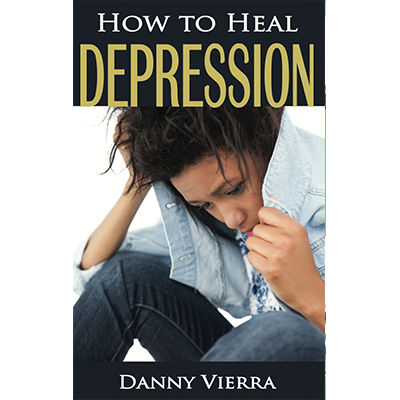 Not only does today’s society suffer from chronic and fatal disease as a result of gluttony and taking in the wrong kinds of foods, but we also suffer from groggy thinking and foggy spiritual lives. In looking at the subjects of prayer and fasting in Scripture, we see the benefits of this “dynamic duo.” Moses communed with God on Mt. Sinai 40 days and nights, and he had to veil his face because it was so bright (Exodus 34:28). He also was resurrected and taken to heaven after his death (Jude 9). Elijah also fasted 40 days and nights (1 Kings 19:7, 8), and he was taken to heaven without seeing death (2 Kings 2:1). The only other person in Scripture to fast 40 days and nights was Jesus Christ Himself. Even though He was physically weakened by the ordeal, His mental and spiritual acuity was so sharp that He firmly withstood the barbs of the devil (Matthew 4:1–11). In today’s era we too can have enriching experiences from fasting and prayer. Biblical evidence is ample that refraining from excessiveness in our lives will be enhancing beyond measure. Should you choose to include these principles in your own life, you will gain strength to stand firm against temptation. "Many People sense something stupedous is about to break upon this world, which the prophet Daniel rightly called "a time of trouble." 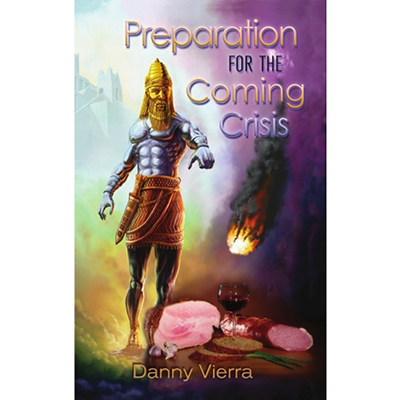 But most people do not know that the coming crisis will include a final inquisition--a time when commandments-keeping Christians will be punished as heretics. Is such a thing possable? Does the Book of Revelation warn of religious laws will be punished? 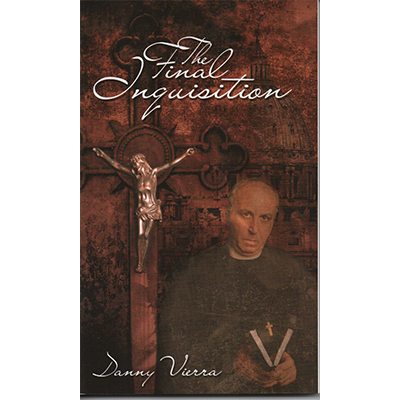 There is no reason to be taken by surprise, for THE FINAL INQUISITION unmasks the players in the millennium endgame and their hidden agenda to establish a One-World Order." 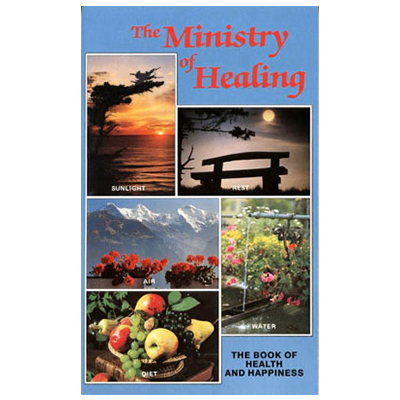 The Ministry of Healing emphasizes the link between diet and spiritual growth. 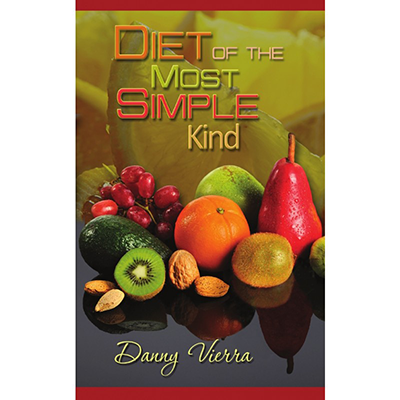 It's a diet book, a self-help book, and a Christian spiritual guide all rolled into one, and it continues to be read widely to this day.